A: A credit card is a great source of free credit when it is used properly. It offers a convenient substitute to carrying a large amount of cash when you pay for purchases. Using a credit card also earns you reward points that you can later redeem for credits such as travel fare, hotel accommodations and others. While there are benefits to using credit cards, there are also apparent risks from improper use. Credit card debt, if not managed properly, can accumulate quickly and could sink you fast into financial quicksand. The key in managing credit card payments is to avoid tolerating credit card companies making money from you from interest charges. Credit card companies normally ask you to pay only one percent of your monthly balances. It will look like a good deal because the monthly minimum of one percent may be so low that it hardly affects your cash budget. However, following this payment scheme could take you forever to fully settle your debt. Why? Credit card companies normally charge an interest rate of 3.25 percent per month. Yes, that is the monthly rate so imagine that annual interest you effectively pay if you choose to borrow from your credit card is 39 percent. The average borrowing rate from banks is only six to seven percent per annum. When you pay the minimum, the difference between the one percent and the monthly interest of 3.25 percent will simply be added to your balance next month. In other words, you will incur additional debt from high interest charges. You may not realize this but the longer it takes, the bigger your debt balance will become as your unpaid interest accumulates over the months. In fact, for as long as the minimum payment is lower than your interest, it will take you forever to settle your debt fully. For example, you spent Php75,000 for your purchases this Christmas and you plan to pay the minimum of one percent or Php750 every month on due date because this is what you can afford. Do you know that if you pay this monthly for the next 30 years, your total credit card debt will balloon to Php225 million? You would have already spent Php7 million on interest charges alone! If you really cannot afford to pay your credit card debt for now, pay at least more than the interest rate so you can prevent it from ballooning. In this case, if your debt is Php75,000, pay at least five percent at Php3,750. One fast way to get bankrupt is to live a borrowed lifestyle on debt. If you can’t afford to pay it today, it is possible that you would not be able to afford it also next week or next month. Enjoying the holiday season should not be an excuse for you to overspend using your credit card, thinking that you have one whole year to repay. Start the year right by not getting into financial traps. 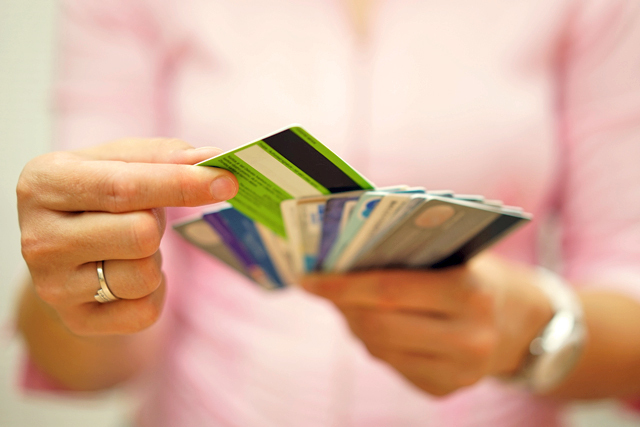 Use your credit card wisely by planning your purchases ahead. Treat your credit card as if it were a debit card where your cash balance in the bank will be deducted every time you use it to pay. Credit card companies make money by taking a small percentage from merchants from whom you made your purchases but do not allow them to make money from you by charging you interests. You can do this by paying your credit card debts in full every month it becomes due. As much as possible, try to limit the number of credit cards that you carry in your wallet. One or two cards may be enough. Carrying too many cards may tempt you to spend more especially when you are shopping during a big sale event or traveling overseas. Perhaps, the best way to handle multiple credit cards is to assign each card a specific purpose. For example, you can use one credit card for regular purchases like gasoline expenses, groceries, utilities and other fixed expenses that you would otherwise pay by cash. In this way, you can keep a record of all your household expenses for budgeting in the future. You can use your other credit card for big-ticket items such as electronic gadgets, household appliances and others, which you can ordinarily purchase on zero-interest installment plans. One way to control your credit card spending is by lowering your credit limit. When you know that your credit capacity is limited, you will always think twice about using your credit card whenever you are offered a tempting offer to purchase an expensive item. Sometimes credit card companies will upgrade your limit even if you don’t ask for it. They will even offer you cash advances using your credit card. Remember not to fall into this trap because credit card companies want you to borrow money from them and ask you to pay the minimum because this is where they can make money from you. Control your spending to 30 percent of your credit limit. If you have good self-control, you can try limiting yourself within the 30 percent of your credit limit. Once you have reached a certain amount, you can stop using your credit card. One way to help you control your credit card spending is to use a debit card. 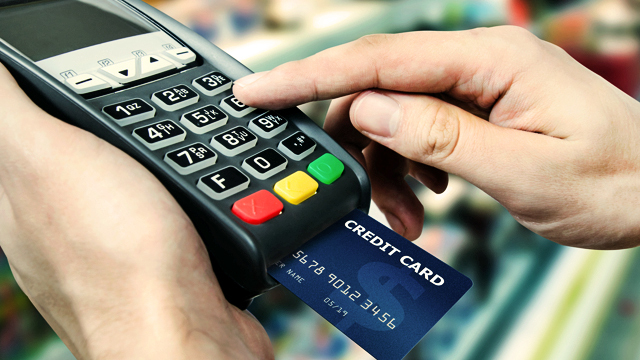 Use debit cards for purchases and combine it with a credit card on some occasions with your self-imposed limit in mind.